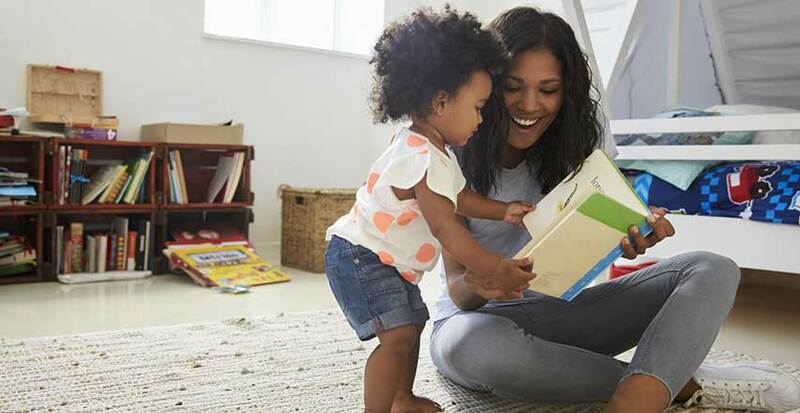 Talk, Read, Play is a public awareness campaign, aiming to educate Kansas City parents and caregivers about how they can support the cognitive development of infants, toddlers, and preschoolers through simple, everyday interactions. Talk, Read, Play (TRP) is a science-based campaign with a simple, memorable message, “Talk, Read, Play with your child every day”. Developed by all three organizations, in the CCKC to remind parents that positive adult interactions with children are one of the most important ways to build babies brains. We spent many months distilling down the most critical things parents need to know to promote their children’s development in the earliest years. These three simple actions (daily talking, reading and playing with children) are the “active ingredients” that can make a difference in a child’s early life. In Kansas City, the Talk, Read, Play message has spread beyond the Children’s Campus to become a community-wide initiative, supported by partners all across the metro area. We know that the whole city benefits when parents interact with their kids, especially during the earliest years. By talking, reading, and playing together, parents and children build strong emotional bonds, creating a home environment where children grow up feeling safe. Talking, reading, and playing also promote early literacy and school readiness by consistently exposing children to a language-rich environment. The Family Conservancy, led by Dean Olson, continues to distribute the Talk, Read, Play materials and to train staff in agencies around the metropolitan area about how they can promote the Talk, Read, Play message. Researchers at Juniper Gardens Children’s Project led by Dr. Dale Walker and her team (Dr. Gaby Guerrero, Jeanie Schiefelbusch, Yolanda Tapia and Martha Martinez) have participated in evaluating the impact of TRP in 12 community child care centers on parents and children and have found that in centers where teachers were learning about Talk, Read, Play, parents reported they were doing more talking, reading, and playing with their children. Even more important, children in these programs were more likely to show added growth in their communication than children who had not participated in TRP. An example of an initiative making a difference where it really counts!